Unless you’re hiding under the rock, you probably have heard that the mayor of Albuera Leyte, Rolando Espinosa, who was linked to illegal drug trade, was gunned down while he was in prison. After learning the news, and after tracing back my memory and confirming where Albuera is, I ascertained that I visited this town three years ago. A week after Yolanda ravished Tacloban, I volunteered to join a medical team headed by ACTS World Relief Team (see previous post) and a group of Harvard doctors specializing in Disaster Medicine. I was the lone Filipino doctor from the US in that group that came. 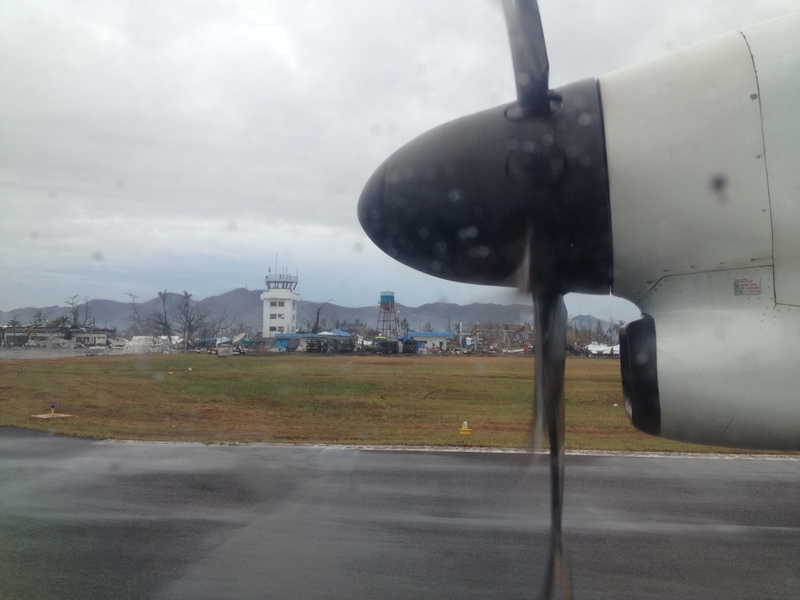 When we landed in Tacloban my heart sank after seeing in person the utter devastation of the place. 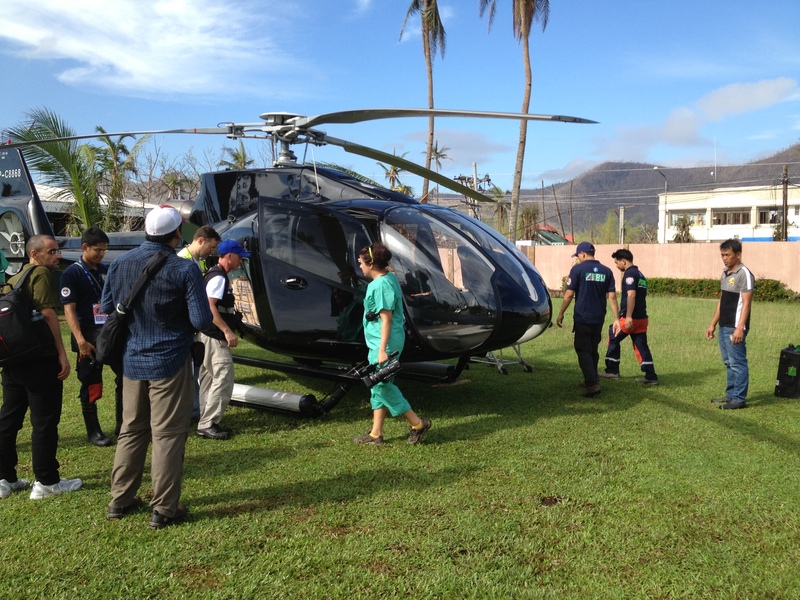 In one of our medical missions, a small team was sent from Tacloban to fly to Albuera. Two small helicopters loaded us up – 4 doctors (2 Americans, 1 local doctor-in-training from Romualdez hospital, and me), 1 military personnel who was our security detail, and several boxes of medicines and medical supplies. After 40 minutes of flight time, we arrived in Albuera. The mayor of the town, Ramon dela Cerna Jr., (the mayor before Espinosa) was waiting for us there. After brief greetings, we were taken to the nearby health center where hundreds of people were already in line, waiting for the medical team. We worked furiously for about four hours before our medications and medical supplies ran out. We decided then to close the clinic, though it was kind of sad as there were still people waiting in line. However we have triage and screened those in line and we have seen those that needed immediate care. The municipal office even provided us simple meal, if I remember it right, chicken and rice. I’m sure food was in short supply at that time after the devastating storm, but they were still able to offer us what they have. That’s Filipino hospitality in action, offering the best for the visitors even if we have nothing left for us. When we finsihed eating we were taken near the beach, not for a swim, though that would be nice, but because there was a clearing there for the helicopters to land. While waiting for our ride, Mayor dela Cerna kept us company telling us stories of the storm’s tenacity, but even more of his people’s tenacity to rise to this challenge of life. When our ride finally came, it was a lone helicopter, instead of two. It was a small one too, and can only fit three passengers. There were five of us. The pilot said that the other helicopter was sent on another important trip. He also said that he was not sure if he could make a second trip as he might be sent for a more pressing mission, or maybe it would be too late in the day as the afternoon sun was quickly going down the horizon. We knew that the roads were in bad shape, mostly blocked with debris from the typhoon. So most likely we cannot travel by ground back to Tacloban even if we wanted to. I know we cannot leave the two American doctors behind. Too much liability for their safety. I also know that if we leave the local doctor-in-training and the soldier, the headquarters may not be too obligated to send back the helicopter for them, and they just have to find a way to travel back by ground the next day or so. That was when I decided, that I will be the one to stay. The soldier volunteered to stay with me too. Since the headquarters knew that I was a member of the US group, maybe they will be compelled to come back for me. Besides I feel safe among my people. After the helicopter departed, the mayor took me to the municipal hall, and told me that I can hang out there while I waited for my ride home. The mayor also promised me that if for some reason they were not able to come back for me, he would find a way to send me back to Tacloban the next day. That’s a 120 km trip which usually takes 3 hours, though could be much longer with the uncertainty of the road conditions. The mayor then went back to work, while I found a comfortable seat inside the municipal hall. Not too long after, someone approached me making sure I was doing fine. She introduced herself as the mayor’s sister. I told her to not to worry about me, for I can keep myself entertained. Or since it was a long day for me, I could also catch some cat naps while waiting. While I sat there, a group of the mayoral staff held their meeting near where I was. I was too sleepy to eavesdrop to what they were discussing. Maybe they were planning on how to take over the world. Before long, I faded into Lala land. After more than an hour or so, I was informed that the helicopter was coming, and it would be landing in about 15 minutes or so. I said goodbye to my host, including Mayor dela Cerna. The soldier and I were taken back near the beach for the helicopter pick up. On our flight back to Tacloban, the soldier who was with me, was thankful that I decided to stay and thought it was brave of me to stay behind in a strange place with uncertain circumstances. He was sure that if it was him and the other local doctor who were left behind, the helicopter would not come back for them. I just thought that it would just be another adventure if in case they didn’t come back for me. Or perhaps I’ll have the people of Albuera adopt me for a time. The advantage for being left behind? The trip back to Tacloban was beautiful, as we flew into the sunset. PS. A shout out to the people of Albuera: damo nga salamat! Broken. A term that we can apply to a structure ravaged by time. Or to a place ravaged by the forces of nature. Or a societal state ravaged by a corrupt system, where the rich becomes richer and the poor becomes poorer. 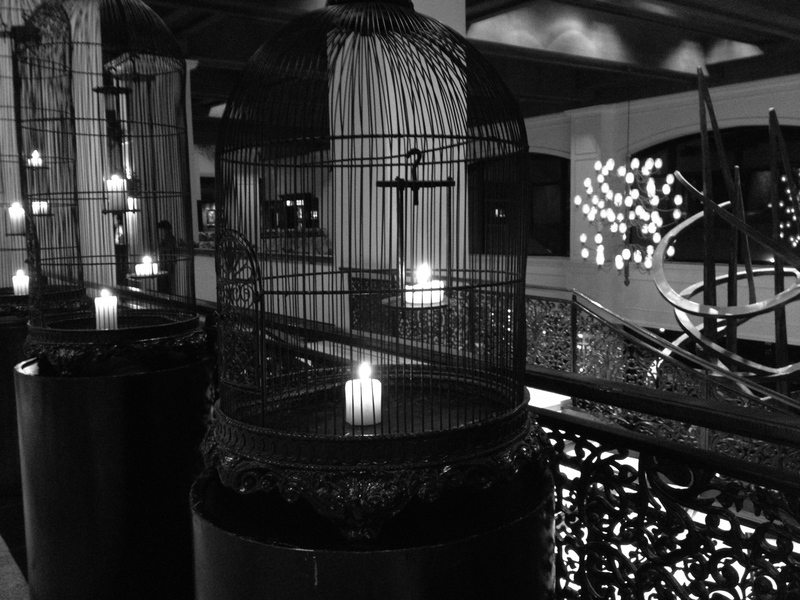 Or it can even be applied to a perfect picture of opulence…. ….when we are oblivious to the sufferings of the poor just outside our deaf walls. Isang taon na pala ang nakakaraan nang tumahak at rumagasa si Yolanda (international name: Haiyan) sa Pilipinas, lalo na sa lugar ng Tacloban. Ito ang pinakamalakas na bagyo na lumapag sa lupa sa kasaysayan ng mundo. Libo-libong mga tao ang napahamak at milyon-milyon iba pa ang naapektuhan. Isang taon na ang nakalipas mula nang ating maging bukang bibig ang super typhoon at storm surge. Sangayon sa aking mga nakausap at nakasalamuhang mga survivors, kung naintindihan lang daw nila na ang storm surge ay parang tsunami, ay marami raw sanang tao ang lumikas sa tabi ng dagat bago humagupit ang bagyo, at marahil ay hindi ganoong karami ang mga namatay. Isang taon na rin ang nagdaan mula nang tayo ay malagay sa spotlight sa harap ng buong mundo, matapos tayong sagasaan ng bagyong Yolanda. Lumipad sa Pilipinas si Anderson Cooper, isang kilalang CNN reporter, at doon niya inilantad ang kalunos-lunos at kaawa-awang kalagayan ng Tacloban, at kung paanong walang maagap na tulong na dumarating. Kanyang kinalampag ang mga kinaukulan at namumuno sa ating gobyerno, ngunit sa halip na tayo ay magtulungan, tayo pa ay nagbangayan. Bakit ba hindi natin maintindihan na ang bagyo ay hindi namimili ng antas ng buhay o kulay ng ating partido? Isang taon na rin pala ang nakalipas mula nang ako’y tumungo at umapak sa Tacloban, kasama ng mga dayuhang manggagamot upang tumulong sa paglunas sa mga nasaktan at nasakuna. Isa lamang ako sa mga daan-daang mga volunteers, national at international, na tumugon sa tawag ng pangangailangan, na dumagsa at lumapag sa nasalantang siyudad ng Tacloban. Makaraan ang isang taon, may pinagbago na ba sa katayuan ng mga nasalanta ni Yolanda? May kaginhawahaan na ba sila ngayon? O patuloy pa rin silang dumaranas ng paghihirap? May naging progreso ba sa mga buhay nila? O araw-araw pa rin nilang binabata ang epekto ni Yolanda hanggang sa ngayon? May mga ngiti o halakhak na kaya sila? O patuloy pa rin ang kanilang impit na hikbi at hinaing? May saysay ba ang mga pinagpaguran ng mga taos-pusong tumulong, dayuhan man o lokal? O nauwi lang ito sa wala? May naging kabuluhan ba ang mga milyon-milyong perang donasyon na umagos mula sa iba’t ibang bahagi ng mundo? O nauwi din lang ito sa kawalan? Pagkalipas ng isang taon, may nagbago ba sa atin at sa ating mga pananaw? May mga leksiyon ba tayong natutunan mula kay Yolanda? While watching CNN (Anderson Cooper 360) from the comforts of my home in Iowa, with live coverage of the effects of super typhoon Haiyan in the Philippines, somehow the strong winds jumped across the Pacific and reached me. It agitated me into action. I was literally in front of a computer searching for how I can volunteer, when I received a phone call. It was from someone whom I have not seen for more than 10 years as he now resides in Virginia. He told me that a certain organization *(ACTS/GR3) called him and he in turn invited me to join them. I believe that was the heaven-sent sign I was seeking for. After arranging my schedule in our clinic, soon I was airborne for the Philippines. From Des Moines, I made a connecting flight to Atlanta, where I was joined by four more people in our medical team. From Atlanta our next layover was in Seoul, where another doctor (from California) joined us there. Our next stop then was already Cebu, Philippines. Two more doctors (who flew from Colorado) were waiting for us there. I traveled light for the trip and packed just the bare essentials. I was able to fit all my things in a medium-size backpack. But when I read the notice from the organization that each one should bring at least 3 days worth of food (as they cannot guarantee our food), so I also brought a small duffel bag with cereals, power bars, chocolates (survival essentials! ), apples and water. In fact, nothing was guaranteed for us, food, lodging, nor security. The only thing guaranteed was that there was a lot of work for us. I did not even notify my mother who was in Manila that I was going to Tacloban. First of all, there was no chance of seeing her anyway as we were flying directly in and out of Cebu. Another reason was, as the situation in Tacloban was dire, and there was even reports of rebels and insurgents taking advantage of the chaos, I did not want her to worry about me. I just called her over the phone after I already returned back to the US. When we arrived in the Philippines, as a returning expat, the custom officer looked at me in disbelief, as I was just lugging a backpack. Perhaps he was looking for the typical large balikbayan boxes that any returning Filipino carry. But nothing of this trip was typical. From Cebu, we caught a commercial plane flight to our final destination. Flying on a C-130 would have been more dramatic, but it did not happen. After 32 hours of travel (that’s my own time, I don’t know exactly how long were the other’s), which includes flight time plus layovers, we finally landed in Tacloban. We stayed in Romualdez hospital, which was not operational at that time due to damage from the storm, yet it provided lodging for us. On our first night, 7 of us slept in 1 room, mostly on the floor. There was scarcity of beddings in the room for us – maybe 2 hospital mattresses, a couch, a mat, and cardboards. Being the only Filipino in our team initially, I thought that I should give the mattresses to our foreign visitors, so I slept on the cardboard. 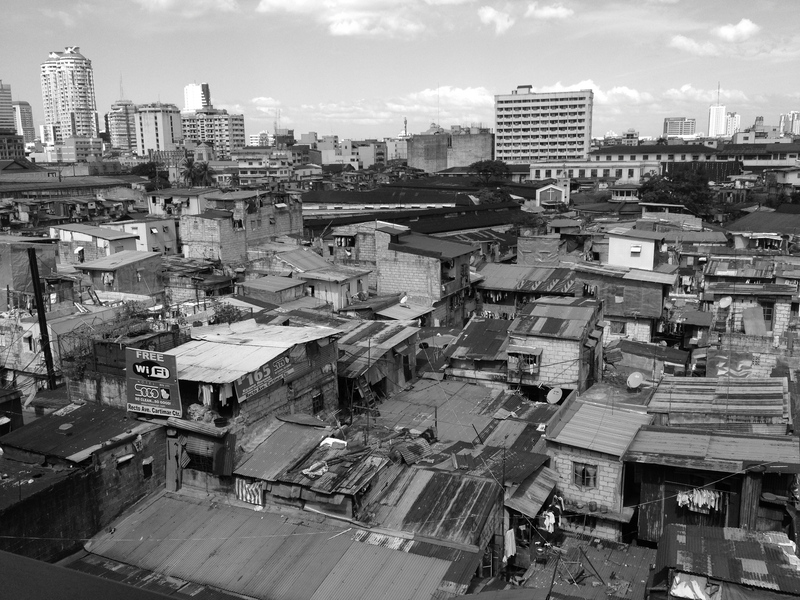 Being hospitable whatever the circumstances, is one of our Filipino traits you know. Besides I am used to sleeping on a hard surface anyway. When we woke up the next morning, I was sorry to learn that the one doctor who slept on a mattress, got bitten all over his body by bedbugs. Who would think that sleeping on a cardboard was better, as at least it has no bedbugs? Many members of our team, were also feasted upon by mosquitoes. I brought a mosquito net but I let somebody else use it. I jokingly told them that even Filipino insects practice colonialism as they were specially attracted to Americans. Many of the doctors I was with were unsettled with one trivial fact: that there was no toilet paper in the restroom. I explained to them that most Filipino household don’t use toilet paper. We use soap and water instead.That’s what the ubiquitous tabo (dipper) is for, which is indispensable to our culture. But since they were so culture shock with this, and we did not bring toilet paper, we went for “operation toilet paper.” Me and another commando went to the camp of the Taiwanese doctors who were lodging in the far end of the hospital and hijacked some toilet paper. OK, OK, we did not really stole them, we just took some rolls they left behind. The following day, a group of doctors from Harvard and another group from Abu Dhabi arrived and joined our team. The Abu Dhabi group initially asked if there was a hotel they can stay, perhaps after seeing the meager accommodation we had. But after learning that the nearest hotel was probably about 3 hours away, they decided to stay. It was amazing that the next day, we have to wake their group up as they slept so good despite the “meager” accommodations. On my third day, another Filipino doctor (from Baguio) arrived and joined the team. Being the only two Filipino doctors in our team, we believe we had the advantage. First of all, though we don’t speak Waray ( the dialect in Tacloban), yet we speak Tagalog, and thus we did not need an interpreter. Most of the foreign doctors required an interpreter. We also understand the culture better so we can connect with them easier. Though some patients may have preferred seeing the American doctors, due to our ingrained colonial mentality, viewing them as superior. Yet working hand in hand with them we earned their respect. After a few days of working with these highly trained and yet very compassionate doctors, and after undergoing a unique experience together, we have formed a bond. A bond more than bedbug-infested-mattresses and mosquito bites. Beyond toilet paper-less bathrooms and cold pail-and-tabo showers. Even beyond being medical professionals, foreign or otherwise. For one special time (despite of the calamity), we were one race – the human race. Working together. Sharing a common goal. We were a team. ** After returning home, I left my backpack in the garage for a month, where it was freezingly cold, to make sure I don’t bring in any chance-passenger bedbugs to our home. I woke up this morning feeling cold. I pulled up the comforter to warm me up a bit. 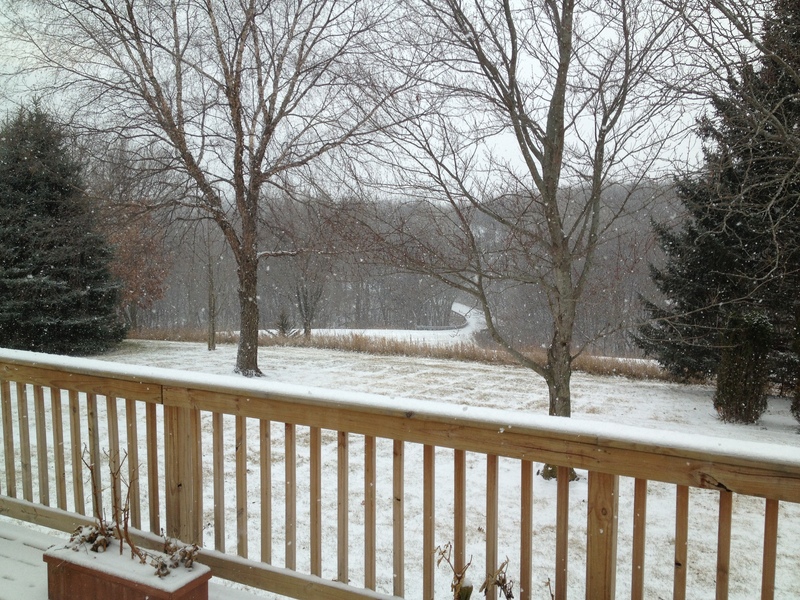 As I opened my eyes I was greeted with snowflakes softly tapping on our windowpane. It is December after all, and in two weeks it would be Christmas. 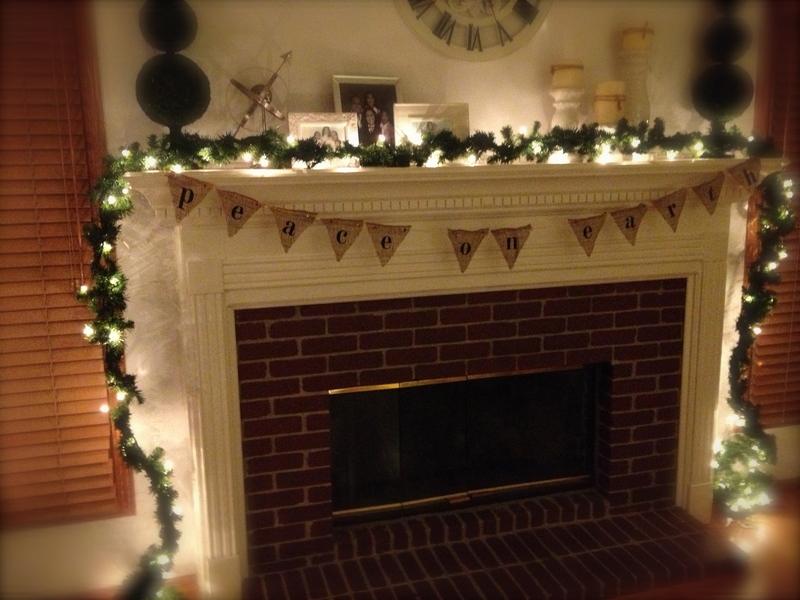 Today, my wife decided to decorate our home for the season. Yes, we were a little late decorating this year. We even skipped having a Christmas tree this time. Putting up a freshly cut tree had become a tradition in our home since we moved here in Iowa. As we hung up our holiday ornaments, and with snow continuing to fall outside, it is really “beginning to look a lot like Christmas,” just like the popular song goes. That also means that I need to shovel and clear the snow in our the driveway later. Rats! Though my son was excited to go outside and build his snow fort. One man’s misery is another one’s fantasy! As I ponder on this, I was comforted with the thought that real Christmas is not about decorations and Christmas trees. It’s not about shopping and completing our list (wives, are you listening?). It’s not even about receiving gifts or exchanging gifts (good luck telling that to your kids!). Christmas is commemorating the coming of the Son of God to this wretched planet (wars, calamities and all), to redeem our dying world. With that thought, we all can celebrate Christmas. I would like to share a video of our group in action in Tacloban. I am proud and yet humbled to be a part of this great team. I am sitting in an airport terminal in Seoul, waiting for my connecting flight back to the US. I have more than four hours of layover here – plenty of time to reflect on the things I have witnessed and places I have been in the past few days. As I look around on this beautiful airport in South Korea, its sturdy structure, its opulent stores, the distant city skyscrapers glistening in the morning sun, I noted that all these provide stark contrast to the place I have just come from. 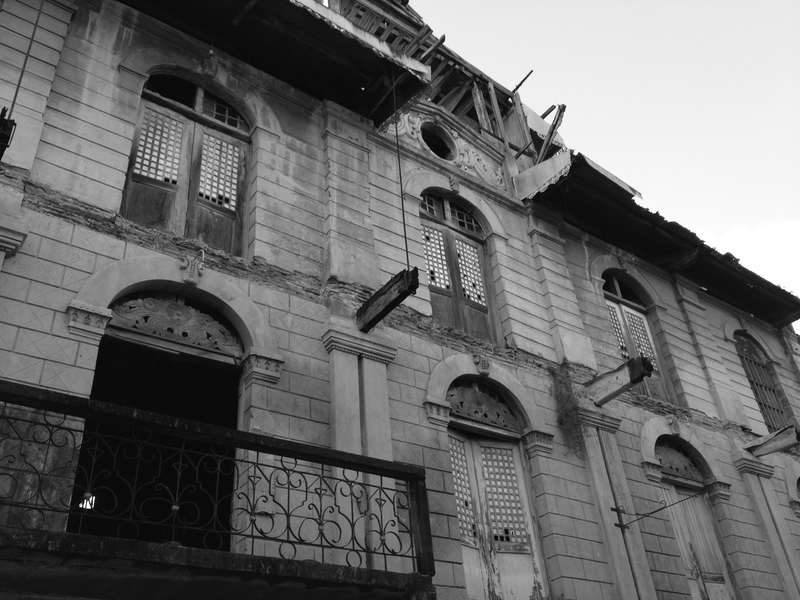 It is a place where there was utter destruction everywhere I looked; what was left was a ghostly reminder of a once thriving city. The place I went to was Tacloban. 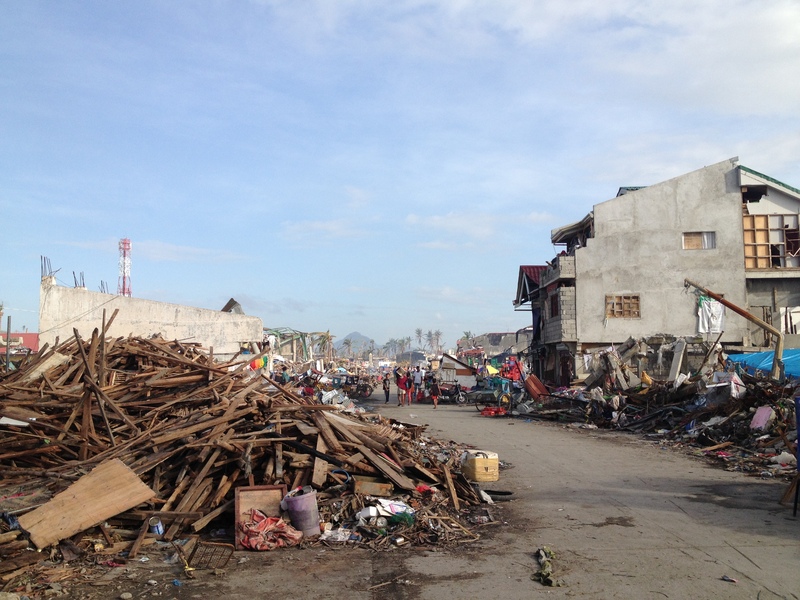 We arrived in Tacloban 2 weeks after super typhoon Haiyan (local name Yolanda) basically wiped out the city. After seeing the horrific news of the calamity day after day on TV and internet, I felt compelled to do something. Something more than financial donations. So I volunteered to go. I came as a member of ACTS World Relief team. Our group was composed of international physicians, nurses, paramedics and rescue volunteers. Among the doctors that I worked with were several Disaster Medicine specialists from Harvard, an Emergency Room physician trained in Mayo Clinic, an experienced orthopedic surgeon from Colorado, an anesthesiologist from Tennessee, and an Urgent Care physician from Loma Linda Hospital. There was a team of doctors from Abu Dhabi, and a surgeon from Baguio in our team as well. I am proud to work hand in hand with these highly trained and compassionate people. Even after watching it in the news, witnessing the state of devastation in person was surreal. It was heart-gripping. The stench was gut-wrenching. On my first day there, even if it was already entering the third week after the disaster, our search and rescue team had recovered 9 more bodies. You can just imagine the state of those cadavers. They even found 13 more, but they ran out of bodybags, so they left them to be picked up the next day. On my second day, when we posed for a group photo, we saw a decomposing body of a child in the middle of the street a few feet away from us. It was harrowing. Our team made Romualdez hospital our command base. The hospital though was damaged from the typhoon and was not operational. Still, the hospital became the “hotel” for several teams. The amenities may be meager, but we have a roof over our heads, toilets (just don’t ask how clean), and cement floor with mats and cardboards for beds (though some were lucky to scavenge foam beds). Those (in)conveniences were still much better condition than what people in Tacloban had. Aside from our group that stayed in the hospital, there were the team from Sweden, a big party (more than 60-doctors strong) from Taiwan, and a squad from Colorado with their rescue dogs. Instead of hospital setting, everyday our team will be divided to smaller groups and were deployed, with coordination with local leaders, to set-up different mobile clinics. One day my team erected a clinic in a street in the inner city, in the midst of debris and mud. There were teams that went on helicopter mission to reach distant towns, and I was fortunate to join the flight mission (twice!). Some areas we went to were so remote that the terrain can only be reached by a truck. In one particular area, our bus cannot go through any further, so we all hopped on the convoy truck carrying our medicines. We fit 25 people in the back of that flat-bed truck. It was a trip that could rival the thrill of the helicopter ride. 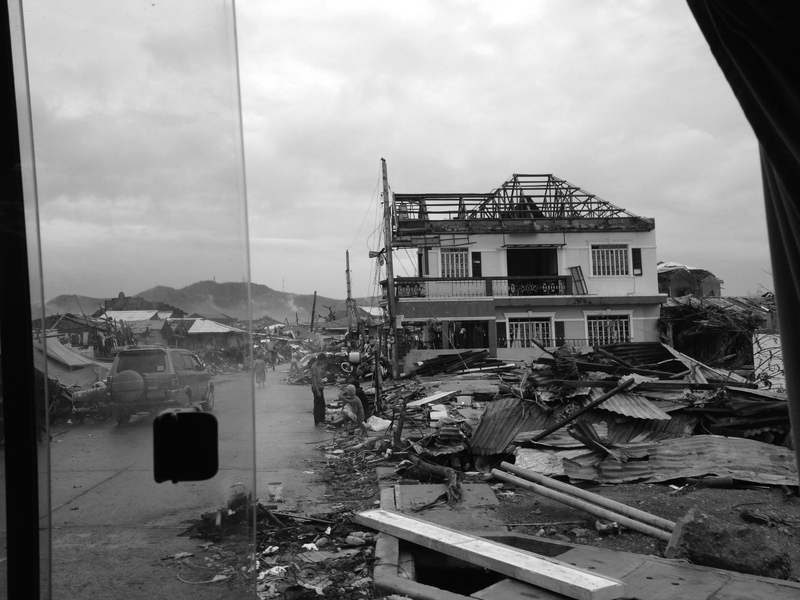 The condition in Tacloban was horrendous. Yet people try to cope to the situation the best they can. I saw vendors of eggs and vegetables on the side of the street. People taking a bath and doing their laundry next to piles of wreckage. Children playing in the street littered with refuse. Somehow they tried to bring back normalcy. But it was far from being normal! Now the foreign media has gone, and the local press has pursued some other fancies, like the spat between senator Enrile and Santiago. Tacloban and its relief efforts is not hugging the headlines anymore. Yet hopefully these people will not be forgotten, for they still badly need our attention – with or without coverage of the press. Despite of the calamity, the people in Tacloban were strong and resilient. When I saw patients in our mobile clinics and I asked them how they were they told me: “OK lang doc, buhay pa” (I’m OK doc, I’m still alive). They said this with a smile. But I always eventually found out that they had a relative or a friend who had died. It was story after story of tragedy. I remember one woman whom I saw on my first day in Tacloban, in one of our clinics. She told me that she lost her husband, and two children during the typhoon as they were washed away by the storm surge. Yet she kept a positive outlook in life. Where she was getting her strength was a marvel to me. The foreign doctors I worked with were really amazed with the spirit of the Filipinos. 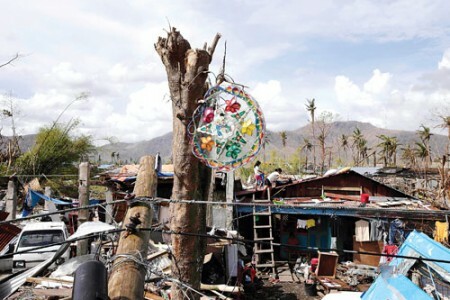 Yes, typhoon Haiyan was strong, but the Filipino spirit is stronger. I may be feeling exhausted, sleep-deprived, and emotionally drawn-out after my 5 days tour of duty in Tacloban. But I know that tomorrow night, I will be eating a home-cooked meal, sleeping in my comfortable bed, embracing my wife and hugging my kids. For the people of Tacloban, it will be another day of struggle wondering where will they get their next meal. They will continue to sleep under make-shift shelters from the rubble. And many will cry themselves to sleep, mourning the lost of their loved ones. The task is so enormous that sometimes we wonder if our little efforts even matter as they are just lost in the sea of need. Coming to Tacloban, I just hope that I can make a difference and make a little change. Well, it did. It changed me. You can visit ACTS World Relief Facebook page for more photos of their mission.